We caught up with Jon Hornbeck where we discuss his transition from being a Pro rider, his job at Road Bike Action, the state of competitive cycling and the bike industry, gravel riding, tips for aspiring pro riders and fulfilling his passion in his role as an event promoter for the SPNDX Stampede Gravel Events. 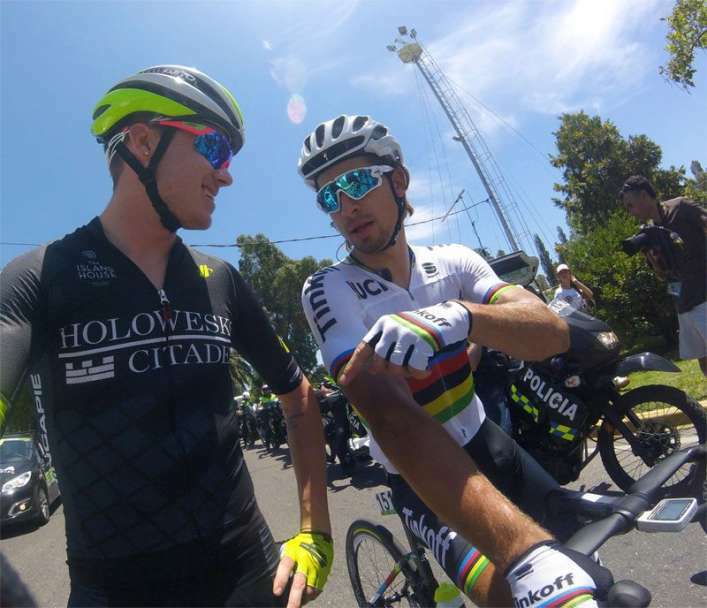 SoCalCycling.com: After racing professionally on the Holowesko – Citadel pb Hincapie team for several years, you retired after the 2016 season. 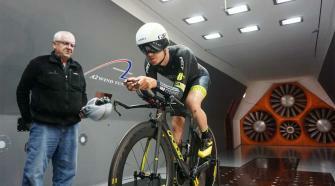 How has the transition gone from being a professional bike racer to the “real world”? Jon Hornbeck: I’m at the year mark now so looking back on it which has gone by quickly the transition has been good but busy, to say the least. Fortunately transitioning over to my role at Road Bike Action I still ride quite often, nowhere close to what I used to do but I’m not doing the normal 9-5 life which has made it a good transition. Not riding 25 hours a week though I’ve noticed I’m no where near as tired as I was which has allowed me to keep busy with everything I’m doing but at times I do miss when all I had to do was my ride for the day and then be lazy and just worry about tomorrows ride. 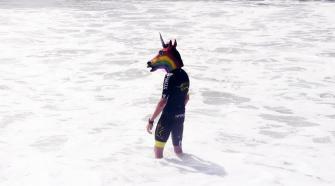 SoCalCycling.com: You are still young and could have continued to race professionally if you wanted to, why did you decide to retire when you did and are you happy with the decision a year later? Jon Hornbeck: Well after California last year I started talking with a Pro Continental team in Europe which looked as though it was going to be a good transition for me to race over there full time. That was always my goal with my cycling was to keep moving up each year and getting better while doing bigger races etc. I had a verbal deal with the team but in September it fell through with the saturated market of riders on hand with the demise of Tinkoff and IAM. I could’ve kept racing here in the states but honestly, I was pretty over racing the races on hand here and knew California was probably not going to happen as well. Talking to teams in late September also wasn’t the best timing as most budgets are made up so looking at continuing to race over here for 10 – 15k a year and knowing my window to getting to Europe was getting smaller I decided to pack it in. I already raced motocross for 10 years with coming close to doing it professionally and I really just fell into cycling not planning on doing it so having raced professionally, traveled the world, get paid to race my bike and live that life I was content with moving onto my next chapter. Having other projects in the works as well which I was excited about had me interested in pursuing new options. It’s been a crazy year with all the change in my life and I am quite happy with where I’m at and what is currently unfolding right now. 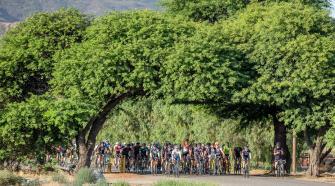 SoCalCycling.com: You have been putting on cycling events the past few years with the SPNDX Stampede Gravel events and SPNDX Stampede Road Fundo. Tell us more about the events and what participants can look forward to. Jon Hornbeck: I started them back in 2015 with the first iteration being the Spandex Stampede Road Fundo. My concept with the events has always been smaller fields; limit to 200 riders, shorter courses and really emphasize on the after event where I always book a really nice venue and just make all the small details very important. Most events of that sort these days are centuries or even much longer and they completely have their place but at my events, I don’t want people to come in after being on the bike all day wrecked with having no energy to enjoy themselves after. I want riders to laugh, drink and socialize while they can still stand on two feet and not need to be carried off. Last year I put on my first Gravel event which I have now decided to only do Gravel events with pulling the road events. I enjoy that space much more and there’s plenty of road events for riders to choose from out there. There’s also just a much more completely different vibe with doing a Gravel event and knowing you don’t have much cars or traffic to deal with. 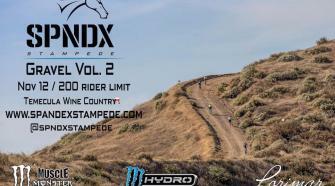 SoCalCycling.com: This year you expanded the SPNDX Stampede to two events with the SPNDX Stampede Gravel Vol. 1 and SPNDX Stampede Gravel Vol. 2. 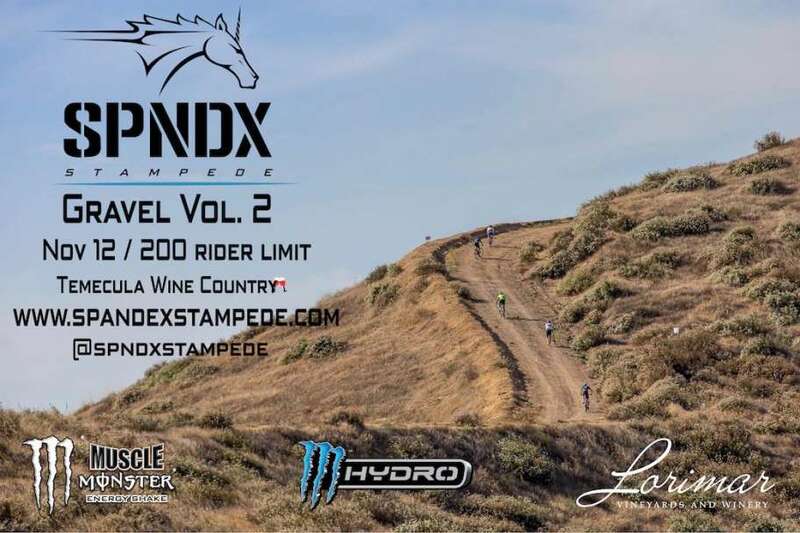 How are things shaping up for the SPNDX Stampede Gravel Vol. 2 event which is coming up on November 12th? Jon Hornbeck: The Gravel Stampede events have been getting great feedback and continue to evolve. Gravel is a segment that is massively growing but realistically there aren’t many events in Southern California that offer them. There’s Rock Cobbler which is a great event and BWR is technically not a Gravel event but does have a decent amount of dirt on hand and other than that there isn’t much in the area. Gravel Vol. 2 though is shaping up to be a really good time as the course is amazing and the buzz around it seems to be growing. I have a lot of cool SPNDX goodies and plans for the event which I know everyone will really enjoy. SoCalCycling.com: How did putting on events come about and what do you enjoy about being an event promoter? Jon Hornbeck: Well I kinda fell into event promoting back in ’09 I believe where I took my birthday which is the day before Halloween and we turned it into this cool house party which grew each year to eventually becoming an annual 1000+ person Halloween event at venues in Temecula. I did that for 7 years and learned the event business through its ups and downs and always wanted to put on a cycling event once I was done racing. We had a century ride in Temecula but they stopped putting it on in 2014 so for ’15 I just looked at it as a good opportunity to jump into it. I started putting them on much sooner then I had planned but I’m happy I started doing them. What I enjoy about putting on the events is the creative process and seeing everything come together the day of and the enjoyment people get out of attending the event. There’s no better feeling than having someone come up to you and tell you how much they enjoyed their experience which you know was completely all your doing. SoCalCycling.com: You have also been participating/competing in several Gravel events across the country. 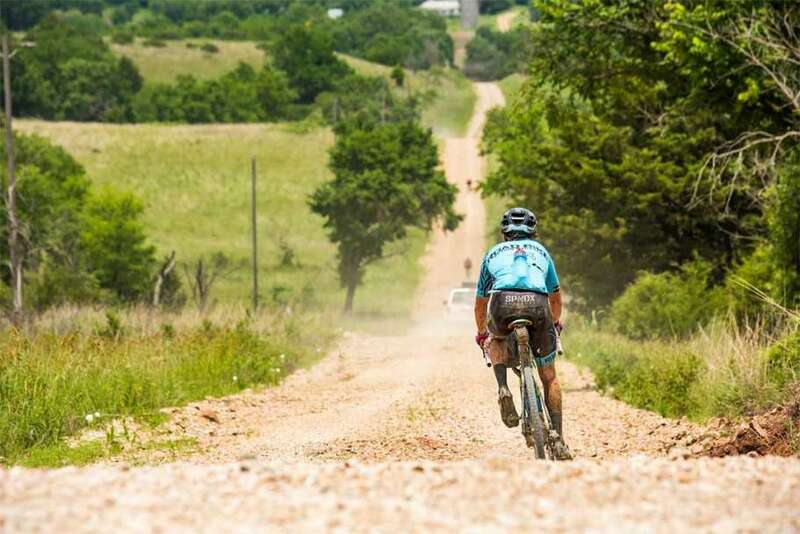 Gravel riding and racing seems to be the hot new trend in cycling events these days. Why do you think that is and what do you like about it? Jon Hornbeck: I have definitely jumped into the Gravel scene from testing bikes and product to doing events in Europe and also all throughout the states. It’s such a great new almost punk rock vibe which is needed in cycling I believe. I love the atmosphere and the fact that you do need a bit of skill to ride some of the terrain. It’s just a much better atmosphere I believe then lining up at a local crit or race. The fact that you have very minimal cars and traffic is what I believe is one of the big factors in pushing the segment forward. I just love riding new terrain and getting off the road exploring areas. A paved road is a paved road at the end of the day. SoCalCycling.com: Where do you see Gravel riding and racing heading in the future? Jon Hornbeck: I think it will definitely keep growing on the consumer side for sure. As far as racing though I see more events popping up which we have seen but to see it transition into that serious UCI professional scene I don’t think will be happening anytime soon. 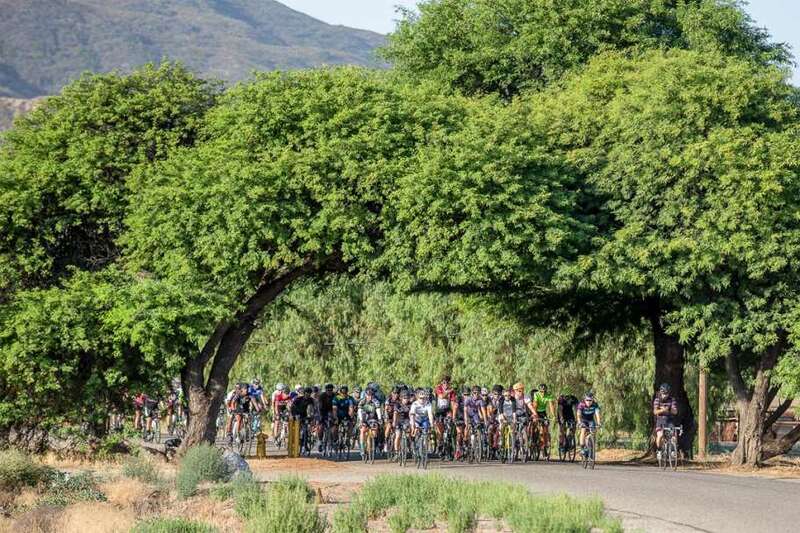 I could see those top races possibly add some more dirt sectors to races but to see full-blown Gravel races at that level where racers are showing up on 40c tires may be a bit challenging. I personally would rather see it heading where it is currently with this rad one-off events where you drink beer after and laugh with your buddies. 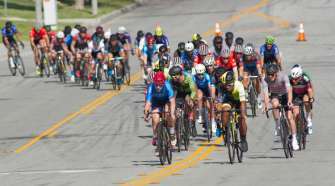 SoCalCycling.com: As a racer, you wrote some great reports for SoCalCycling.com about your experience at some of the bigger pro races like the Tour of Utah, Redlands Bicycle Classic and Tour of Alberta in Canada. You are now using your writing talents in an editorial position at Road Bike Action. How did this opportunity come about and what is a standard day or week like at RBA? Jon Hornbeck: Well I started writing race reports when I signed with 5 Hour Energy/Kenda on my Facebook page & blog and that was simply to try and build more of a following. I never went to school for journalism or anything but people liked my writing, which led to doing recaps for SoCalCycling.com as well. From there Neil Shirley reached out to me from RBA and asked to do some feature stories for the magazine. Once I decided to step away from racing it was the same time that Neil left RBA and Zap from the magazine who is their chief editor reached out to me to see if I was interested in coming in and taking his position. It all happened really fast, I wanna say my last race was in September for Hincapie and I started working for the magazine in November. My weeks are usually always different which is great but usually consists of riding, creating content, typing, working in the office, I started learning how to do some video editing and also have the podcast now. Basically, I’m never at a shortage of work to do which I love. Add in traveling as well and the week’s get pretty busy. SoCalCycling.com: It looks like you get some fun assignments at RBA where you still get to travel and ride, similar to the life of a bike racer. What do you like most about your job at RBA? Jon Hornbeck: Yeah, I love it and I really did have a great transition from racing into the working world. I couldn’t have asked for a better job coming out of racing. You know I really love creating content and learning new skill sets which I’ve had to pick up. I really like that I still get to travel but when I do now it’s not so serious as when your a bike racer which is something completely new. I’ve been meeting some great people as well as back in the day as a racer you know the directors and riders but now I’m meeting more of the industry side which has been really enjoyable. 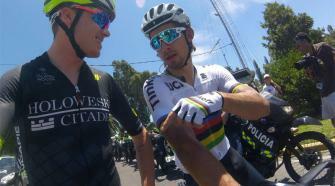 SoCalCycling.com: You have had the opportunity to be on both sides of the sport as a former professional racer and now working with the bike industry at Road Bike Action dealing. 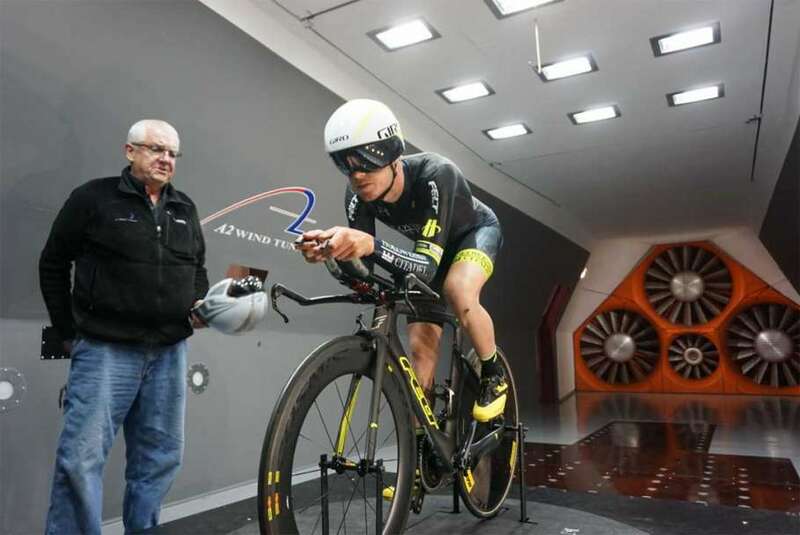 Where do you see the state of competitive cycling and the state of the bike industry today compared to a few years ago? Jon Hornbeck: Well I believe the state of cycling on the consumer end is healthy and growing. The Gravel segment is a good example of that. The racing side is tough though. It will always be good in Europe, but over here in the States it’s really taking a downturn. You can really see that in the Southern California area when it comes to amateur races. There’s maybe a couple only road races someone can do now. I see racing in the States transition into more events like BWR and Dirty Kanza where they’re more marathon style events where everyone starts together and the racers can race them and the weekend warriors can just enjoy the experience. At the end of the day, the industry seems to be doing well but there are many iterations of change which are going on so we’ll see how everyone adapts to them and moves forward. 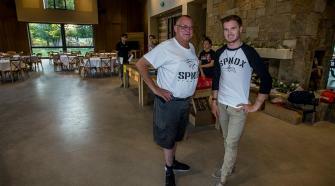 SoCalCycling.com: Besides the SPNDX Stampede events you have a clothing line under the SPNDX banner as well, how has that been going? Jon Hornbeck: We launched the clothing/kits this past year with a few different colorways and the response went very well. I believe we did 4 different sells where I would buy a batch of kits in a new color, promote the date of sale and we typically would sell out within the first day. Once all of the kits were sold the next launch would be in a new color. We have another one coming up in November with the new colorway but also a whole new line of causal to go with it as well. 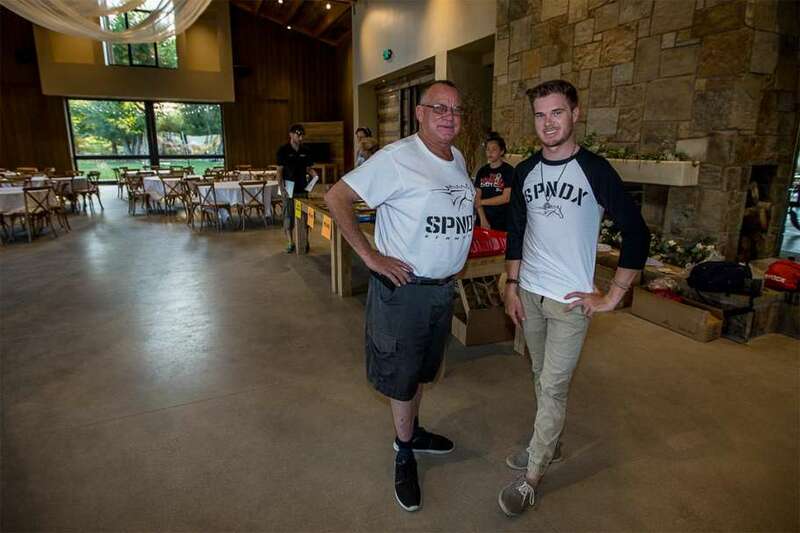 I would like to spend more time in the casual space with SPNDX as I believe there isn’t much of a casual lifestyle brand within cycling. You see it in all the other sports, but within cycling, the casual clothing that is worn is more so sponsor correct clothing. All the clothing we have coming out is a bit more high end and fashion forward which will really make it stand out. That has been a fun project to work on. But as far as the kits go we’re looking to have a new design drop every 3 months now and just always be turning over new designs. Once we sell out of a certain colorway we won’t re-stock it again. 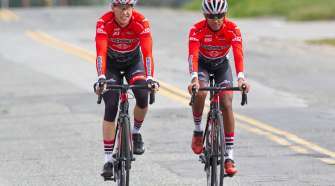 SoCalCycling.com: In closing, do you have any parting words of advice for young up-and-coming cyclists that would like to turn pro one day? Jon Hornbeck: You gotta enjoy putting the work in. There’s a big difference between going from a good local cat 1 racer to being a paid professional. I would always suggest you surround yourself with people that have knowledge and experience of where you want to go. Also though there’s more to life than just cycling. 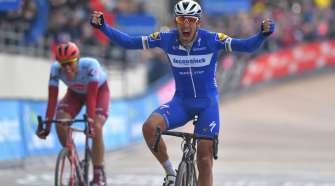 The connections you can make within cycling are major and can lead to something some day. I’ve always believed in thinking long term and not just short term. 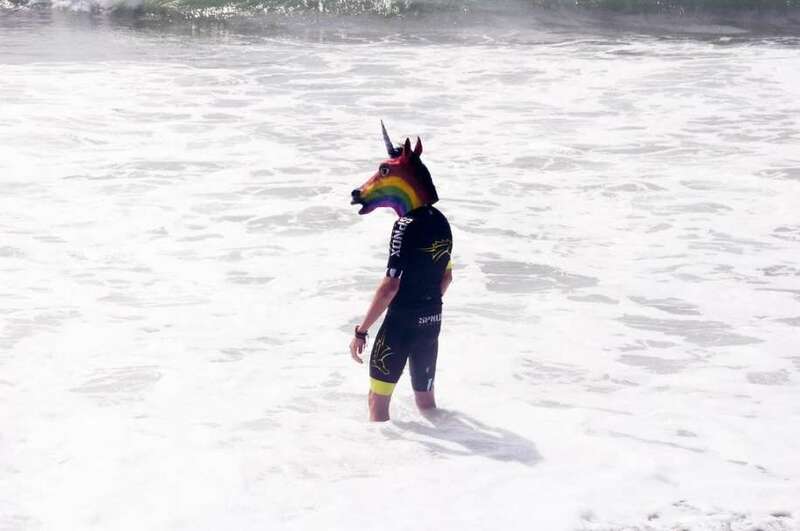 I’ve seen so many cyclists that are so serious and don’t do anything but think of racing & training and when it doesn’t work out for them they’re a bit lost with what to do next. Or maybe I’m wrong and that’s why I didn’t make it farther in cycling because I focused on other ventures than just my racing so who knows. Racing only lasts so long though. SoCalCycling.com: Thanks to Jon for taking the time to do the interview. Be sure to check out the SPNDX Stampede Gravel Vol. 2 this weekend for fun cycling experience!